Because repairing a perforated septum is so complex, it is imperative that you select a facial plastic surgeon who is a noted specialist in nasal surgery and has performed hundreds of septal perforation repair surgeries, as well as Rhinoplasty and Revision Rhinoplasty surgeries. But, that is just the beginning, there is far more you need to ask to truly identify the best possible surgeon to consult. 1. How many septal perforation repair surgeries have you done? Dr. Kridel has performed hundreds of this complex surgery. A perforated septum is not a common medical condition and requires a great deal of skill to repair. 2. How many rhinoplasty and/or revision rhinoplasty surgeries do you perform each year? Dr. Kridel does cosmetic nose surgery on about 150 patients each year and has performed over 15,000 successful Rhinoplasty or Revision Rhinoplasty surgeries. He is often referred to as “THE Nose Doctor” by his peers because of the level of his experience, skill, and expertise. 3. Have you taught major courses to your peers on septal perforation repair in the past 3 years? Giving a course to other surgeons on the topic of septal perforation comes from having great expertise. Dr. Kridel is considered a cutting-edge leader by his peers, teaching many courses on septal perforation, rhinoplasty and revision rhinoplasty every year. 4. Have you written scientific papers on the subject of septal perforation? No other doctor has published as many peer-reviewed scientific papers on septal perforation repair, rhinoplasty and revision rhinoplasty surgical techniques as Dr. Kridel. 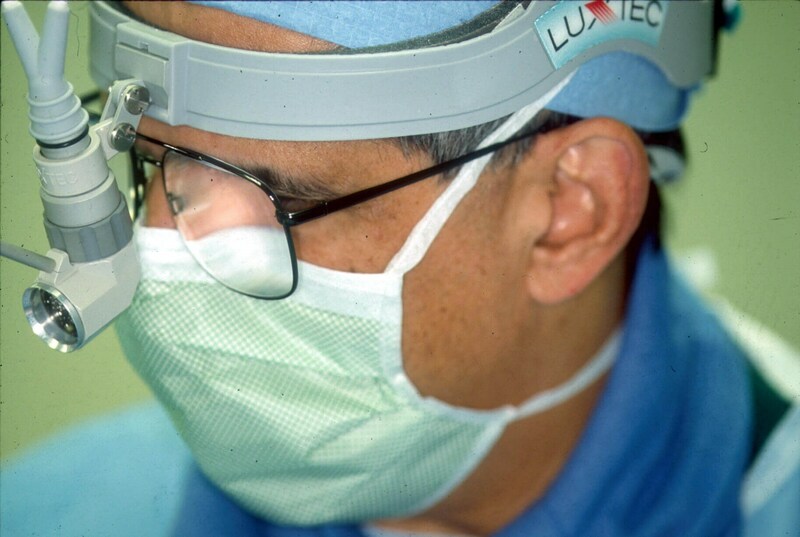 He has published more than 80 scientific journal articles and medical textbook chapters on nasal surgery, including 20 specifically on septal perforation repair. It is important to note that writing a medical journal paper and having it accepted for publication requires a very high standard of skill for peer review. While some physicians have published articles for websites or for consumer publications, Dr. Kridel is one of the very few specialists who has published extensively on septal perforation in peer-reviewed scientific outlets. 5. Have you lectured on this subject at major medical institutions on septal perforation repair in the past three years? Dr. Kridel has been one of the invited faculty members to numerous AAFPRS and other Advanced rhinoplasty and facial plastic surgery courses every year to speak on the subject of septal perforation repair. He is considered one of the most sought after speakers having lectured on this subject throughout the U.S. and all over the globe. 6. Do other doctors refer patients to you with this condition? Most surgeons do not want to attempt such a difficult surgery. Because of his reputation, specialists from all around the country, including ENT, facial plastic, general plastic, and general surgeons, refer patients with septal perforations to Dr. Kridel to obtain the highest possible level of care for their patients. 7. Do other doctors refer themselves and/or family members to you for septal perforation repair or any other type of nasal surgery, such as Rhinoplasty or Revision Rhinoplasty? Due to his expertise, Dr. Kridel is often referred to as “The Nose Doc” or “The Doctor’s Doctor”. He is the surgeon other surgeons go to for nasal surgery of any type, particularly septal perforation repair, Rhinoplasty and Revision Rhinoplasty. 8. Do you have an appointment to a medical school and are you actively involved? Dr. Kridel serves on the faculty as a Clinical Professor and Director, Division of Facial Plastic & Reconstructive Surgery, Department of Otolaryngology – Head and Neck Surgery, at the University of Texas Medical School in Houston. He is also on the medical staff of several Houston hospitals, including Methodist Hospital. 9. What is your success rate? Our success rate is 99%. In some cases, where a perforation is quite large, the surgery may need to be done in phases, requiring more than one operation. Dr. Kridel is the leading expert and will be honest with you about the possibility of repair. While he has successfully closed extremely difficult cases that others could not repair, he (nor any other surgeon) can ever promise closure. 10. Are there before and after patient photos I can view? 11. Are you board certified in otolaryngology, head and neck surgery, facial plastic surgery and cosmetic surgery? A board certification is given when a doctor passes a test after completing a residency program; therefore boards should not be the sole criterion of your doctor search. Sadly, many review sites rely on this criteria rather than identifying other qualifications that speak to relevant surgical skills. However, when a physician is certified by the American Board of Facial Plastic and Reconstructive surgery (ABFPRS), he or she has gone a step above other boards because the ABFPRS requires as an entry level to even take its exam that the applicant is already certified by the American Board of Otolaryngology, Head and Neck Surgery. The additional training required to reach this second level of certification provides you with additional confidence that your surgeon focuses on the area you are concerned about. Dr. Kridel is also certified by the American Board of Cosmetic Surgery. 12. Have you received honors or awards for your surgical skills? Dr. Kridel has received all of the highest honors for surgical excellence from his specialty --- the Mark Rafaty Award and the William K. Wright Award. He has also received the Dean’s Award from the University of Texas Medical School in Houston, as well as all of the Top Doc honors every year for the past 10 years, such as Castle Connolly and H-Texas Magazine to mention a few. 13. Do you have a fellowship program? Dr. Kridel is so well respected that he oversees an AAFPRS (American Academy of Facial Plastic and Reconstructive Surgery) fellowship program. He has trained over 30 fellows. For one fellowship spot, he receives over 25 applications each year from doctors who want to work alongside an acknowledged master of his specialty. There are only 48 such programs in the entire country. Having a fellowship program is considered quite an honor. Dr. Kridel believes it is important to share his expertise with others. However, it is important to understand that the Fellow does not perform surgery, ONLY Dr. Kridel performs the septal perforation repair surgery. 14. How often do you see patients following their surgery? At FPSA, we take great pride in having the highest level of patient care available. We are devoted to our patients and treat each one as if they were our own family member. Patients who have septal perforation surgery will visit us the very next day following surgery and many times during their first two weeks post-operatively. In addition, Dr. Kridel follows his patients at the three month, six month and one-year mark to monitor the success of the repair. All post-operative visits are included in the cost of the surgery. 15. Do you have patients I could contact who have had septal perforation repair surgery? To make an appointment for a consultation with Dr. Russell Kridel about septal perforation repair, contact us at 713/526-5665.